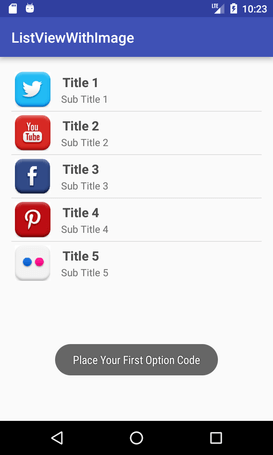 After creating simple ListView, android also provides facilities to customize our ListView. 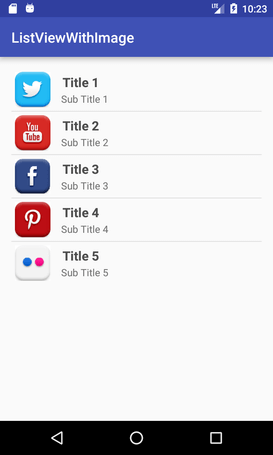 In this custom listview example, we are adding image, text with title and its sub-title. Create an activity_main.xml file in layout folder. Create an additional mylist.xml file in layout folder which contains view components displayed in listview. Place the all required images in drawable folder. 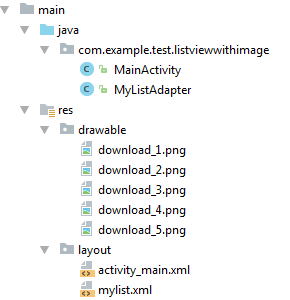 Create another java class MyListView.java which extends ArrayAdapter class. This class customizes our listview.